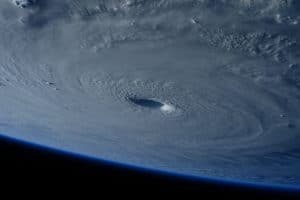 Hurricane Irma was a catastrophic Cape Verde type hurricane. It was the most intense hurricane to strike the United States since 2005. Its impact on Gaiensville and Alachua County residents will be felt for years to come. Moreover, one of the most important things to do is carefully analyze your insurance policy. In conjunction with Fla. Stat. Sec. 627.4137, we ask insurers to please forward to us the statement under oath of the information identified in Fla. Stat. Sec. 627.4137 as well as all information identified in that Florida Statute. Pursuant to said statute, we requested this information within 30 days of the date of our letter to insurers. We also explore what is known as bad faith claims. Proof of insurer bad faith comes not only from the fact that the insurance company’s decision was wrong. Generally, we also prove some other component to the insurer’s wrongful decision. For example, a plaintiff sometimes can establish that the insurer’s decision lacked a reasonable basis and that the insurer knew or recklessly disregarded the absence of a reasonable basis for its decision. If you have an irma hurricane related claim, don’t go it alone. Call our attorneys for a free consultation. We often assist people without charging them fees or costs unless they recover.